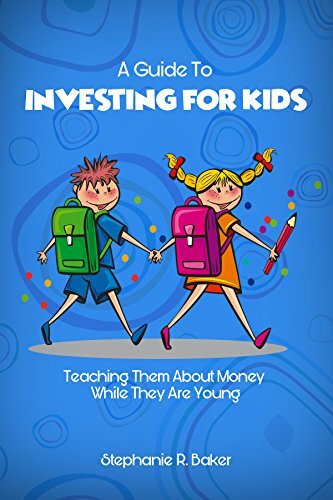 This book is based on the author’s theory that children who learn how to be financially independent and conscious of tracking their own expenses grow up not only to be self-aware but good global citizens. Baker gives reasons for children to learn fiscal responsibility like how to invest and be responsible for handling their own money by choosing their own purchases wisely. They learn financial independence from their parents and awareness of community needs around them. These children acquire goals and dreams of future financial success. Children may learn how to invest by talking with their parents and picking up knowledge from schools and community programs. There are many different platforms offered for children’s investment, and Baker lists several of them with links to finding them on the internet. Alternatives to stock investment include lotteries and investing in independent funds that parents set up for them. Certainly, if many children would choose investment and financial independence the entire world community would benefit both in the short and long term. I think this book is a worthwhile investment for parents and grandparents to consider in creating strong, resilient, independent, successful citizens of the future. Recommended for children age eight years and older to read and discuss with parents and teachers. This looks like a worthwhile book to have in our library! Thanks for sharing at Booknificent Thursday on Mommynificent.com! I would definitely recommend this one for parents as a reference.